David Macfarlane is a Melbourne based musician whose interests and abilities cover a diverse spectrum of stylistic performance from liturgical chant through instrumental and vocal music of the renaissance to contemporary classical music. 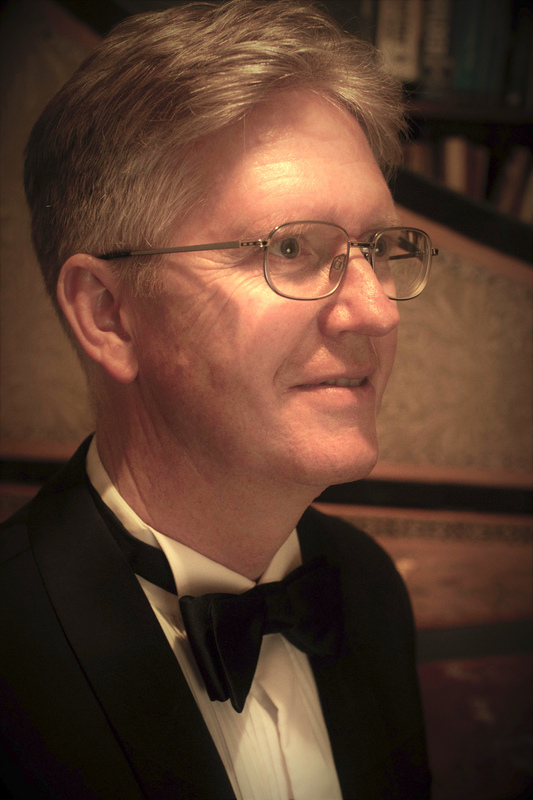 David is equally at home on organ and harpsichord as a soloist and accompanist as well as accompanying regularly on piano and he is passionate about both performance and teaching on these instruments. Conducting and training choirs as well as working with singers is another strand in David’s expertise and experience. He is active as a soloist, continuo player, conductor, accompanist and teacher. 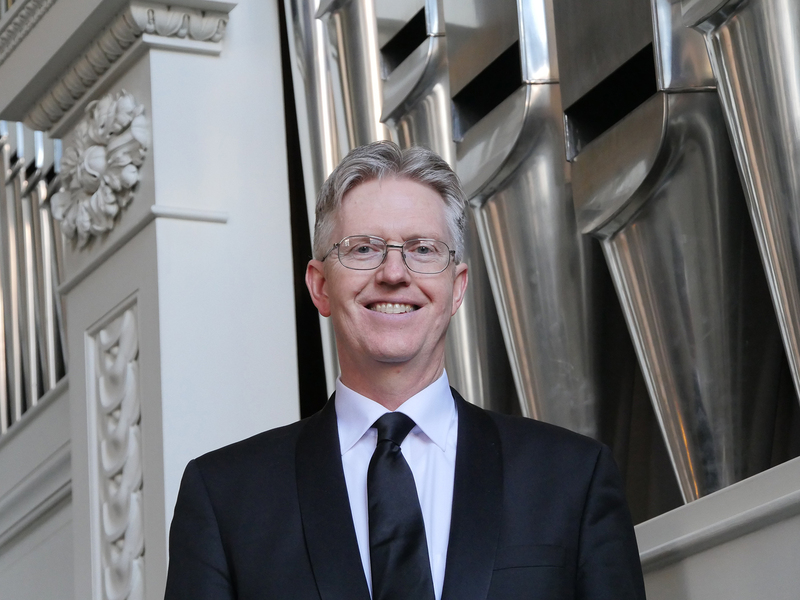 David is the organist at Newman College, the University of Melbourne, and is a staff member of both the University of Melbourne and the Melbourne Conservatorium of Music. The UK based baroque oboist, Jane Downer, and I, on harpsichord, present a program of JS Bach's music re-fashioned to exist in fresh versions. Bach often revisited his own material, re-assembling it to suit different instrumental cominations and practical circumstances. Particularly, he devoted much of his final ten years in Leipzig to revision and adapation of several works. Not one of the pieces in this programme was originally written for the instruments on which we are performing. Bach's own arrangement for harpsichord of the Sonata for Unaccompanied Violin BWV 1003 follows a long-established tradition of transferring existing pieces to the keyboard. Bach's discreet modifications re-establish a sonata characteristically expressive for harpsichord. The Sonata for Oboe and Obbligato Harpsichord BWV 1030b is a reconstruction from the B minor sonata for flute and obbligato harpsichord, that I had the delight of performing with Greg Dikmans last year, and a trio manuscript for harpsichord in which the uppermost line is missing. Some of the movements of Bach's trio sonatas for organ pre-existed in other vocal and instrumental works by Bach. In our re-ascription of instruments of the first sonata, BWV 525, the oboe da caccia takes the middle line with no alteration to key or notes necessary. For more festival information and to book tickets ($35/$30) go to the festival's website. Arvo Pärt’s hauntingly beautiful, extraordinary masterpiece, written in his own minimalist style, has rightly stood the test of time. I will be performing in this for the second time, a rare privilege. Gary's conception makes use of the full cathedral, adding a 3D sound stage to this haunting and most moving austere work. More information for this and the following recital is on the Organs of the Ballarat Goldfields website. I will be accompanying soprano Louisa Hunter-Bradley in a program of music for organ and soprano including music by Vierne, Rheinberger, Honegger, Ravel and Dvorak. Louisa, now based in the UK, and I performed, recorded and broadcast many times back when Louisa was the director of Past Echoes and it is a delight to be able to work with her again. Louisa brings her entrancing interprative skills to music that is perfectly at home in the cathedral and with the organ part utilizing the instrument in a way that only experienced organists can do when composing. 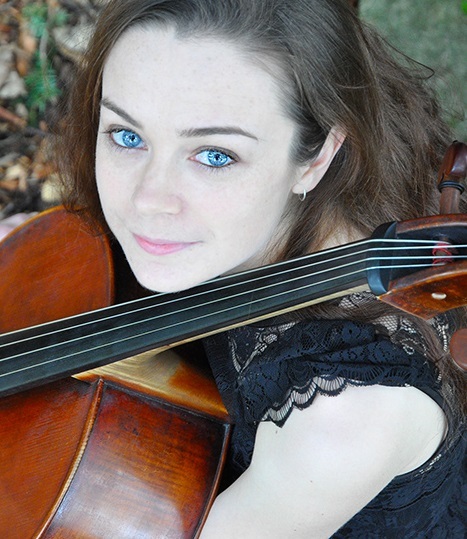 Join Lucy Price, Laura Moore and me as we present a program of delightful Italian sonatas for cello and continuo. Just after playing baroque cello sonatas I will be heading down to perform on the Nicholson organ in St Patrick's as one of the performers in their Advent Organ series. Starting with the entrancing Chorale Fantasia on Wie schõn leuchtet der Morgenstern by Buxtehude, I will present Trio Sonata 4 by JS Bach and Organ Sonata 4 by Felix Mendelssohn-Bartholdy. (After all, there are 4 Sundays in Advent.) Just before the Mendelssohn, I'll play two of my favourite pieces from Louis Vierne's 24 Pièces en style libre. These concerts are underwritten by the church so that there is no entrance fee. Following on from our performance as part of August's Melbourne Baroque Orchestra Gala Concert, Greg Dikmans ('Quantz' flute) and I (harpsichord) present a concert with music close to our hearts. We will couple J.S. Bach's Sonata in B minor for flute & harpsichord (BWV 1030) with F. Couperin's Suite in B minor (8ème Ordre) for harpsichord solo, regarded by scholars and performers as the one of the greatest suites of the French Clavecin school. 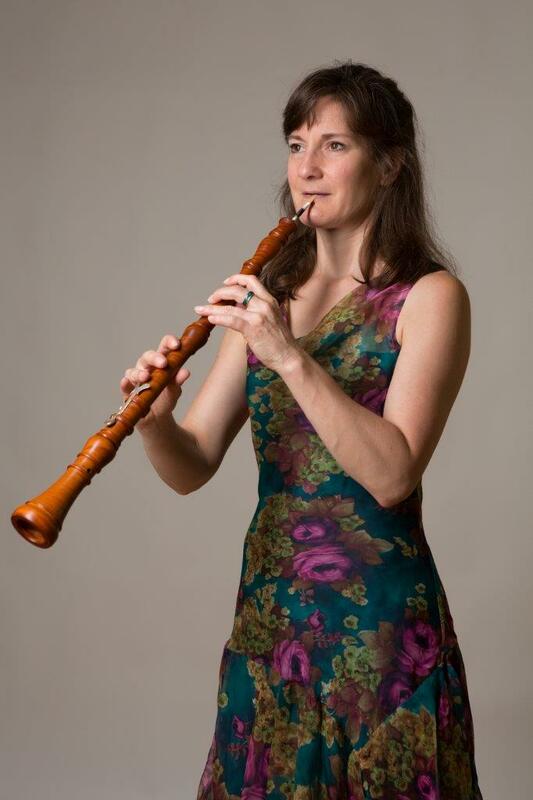 This concert provides a rare opportunity to experience this work and to enjoy it in the context of Bach's sonata for flute and harpsichord in the same key. 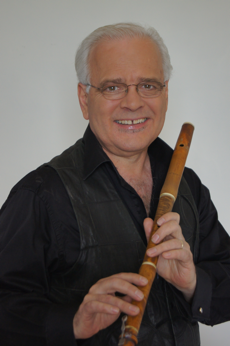 Greg will perform solo flute Fantasias of G.Ph. Telemann, works that he has explored throughout his career, and to which he brings a wealth of experience. We will combine again for a sonata by J.J. Quantz written in what he called the ‘mixed’ style (using elements of the French, Italian, German and Polish styles) and movements from F. Couperin's 8th Concert in the Theatrical style (the pure French style in homage to the airs and dances in Lully’s operas)..
David has played in numerous performances for the annual Organs of the Ballarat Goldfields, the Scots’ International Organ Festival, the Newman College Advent Festival, the Past Echoes Autumn Festival, the Melbourne International Festival of Organ and Harpsichord, the Organ Society of South Australia, the Society of Organists, Victoria, the Organ Music Society of Sydney, St Paul’s Cathedral, Melbourne, St Patrick’s Cathedral, Melbourne, St John’s Cathedral, Brisbane, as well as the Melbourne, Adelaide and Sydney Town Halls and for many churches and colleges. Since 2014 David has averaged more than one tour per year to Europe performing in countries such as Germany, Belgium, France, Austria, England, Jersey, Slovania and Italy. David has played for performances given by La Campagna, the Melbourne Baroque Orchestra, Orchestra Victoria, the Melbourne Chamber Orchestra Virtuosi, the Melbourne Classical Players, the Australian Chamber Choir, e21, the Star Chorale, Canterbury Fellowship, Gloriana, St John’s Southgate, the Newman College Choir, the Consort of Melbourne, and the Royal Melbourne Philharmonic. He has also presented numerous chamber music concerts with the leading early music specialists in Australia and overseas and has been broadcast live and recorded by a number of national broadcast companies. 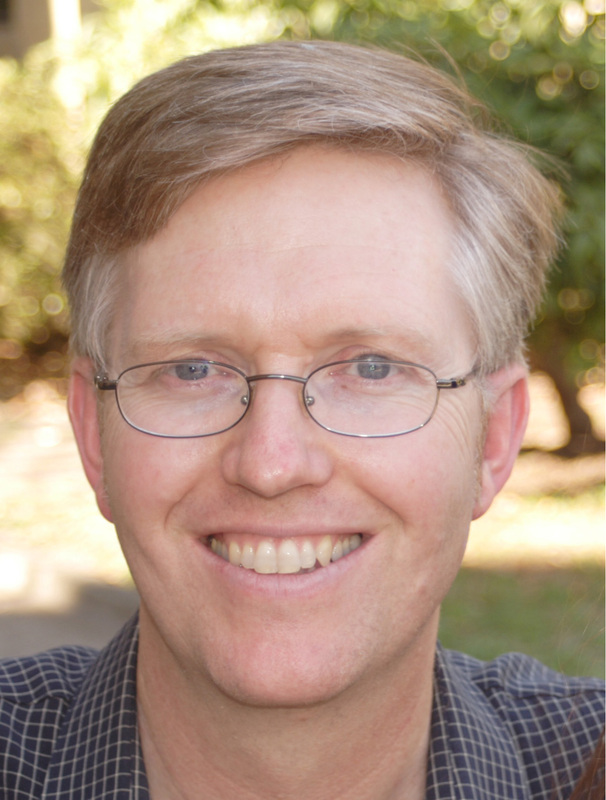 Compositions, both solo and ensemble, have been commissioned for David and he has given first performances of works by many composers including the Australian composers Timothy McKenry, Christopher Willcock, Elliot Geiger, Christopher Luke, Rosalie Bonighton and Brett McKern. He was chosen to perform the winning entries of the New Organ Music of Australia competition for the awards ceremony in 2008 and to perform for the launch of The Southern Cross Collection - Organ Music by Australian Composers in 2009. David’s interest and knowledge of liturgical music was utilised as Director of Music at St Michael’s Uniting Church, Collin St, Melbourne (1996-2002), and All Saints’ Anglican Church, East St Kilda (2004-2012), where he was recognised for his development of the only parish church choir in Australia with a traditional English cathedral style all-male choir. When based in Vienna, David performed around Europe and officiated on the historically classified 1741 Dacci organ in the church of Salvator am Wienerfeld where he was the Director of Music. He graduated from the University of Performing Arts, Vienna, in 1992, where he studied in the performance and church music departments under Michael Radulescu (organ and improvisation), Gordon Murray (harpsichord), Augusta Campagna (continuo), Maria Seidlhofer (piano) and Erwin Ortner (choir training and conducting). Masterclasses afforded David the opportunity to work with other leading European musicians including Luigi Ferdinando Tagliavini, Susan Landale, Ton Koopman, Rudi Meyer, Marie-Claire Alain, Gerhard Schmidt-Gaden and Peter Hurford. David’s undergraduate studies were in organ and musicology at the NSW State Conservatorium of Music and the University of Sydney. David studied organ with David Rumsey and Robert Ampt, harpsichord and organ with David Kinsela, and conducting with Clive Pascoe. David's earliest organ teacher was David Clark, now the driving force behind teaching pipe organ using the Suzuki method in Australia. David enjoys jogging in a park where he is accompanied by numerous Eastern Grey Kangaroos and native birds, a few echidnas and wombats, foxes, water dragons and even the occasional snake. Photography is a hobby that David enjoys particularly when he is travelling for his overseas concerts. A number of publications and presentations to international symposiums date from engineering times. He was part of the team that won the inaugural Melbourne Business School's Melbourne University Entrepreneurs Challenge in 2000, and subsequently established Dynamic Hearing after attracting funding of several million dollars to commercialise the DSP algorithm for hearing aids that he implemented on research and commercial platforms.